Soft inspired kit with frosted flowers, leaves, teddy bear and more. Full of gorgeous pink and lavender pastels with hints of white and greenery. This is an absolutely beautiful kit with unlimited designing possibilities. 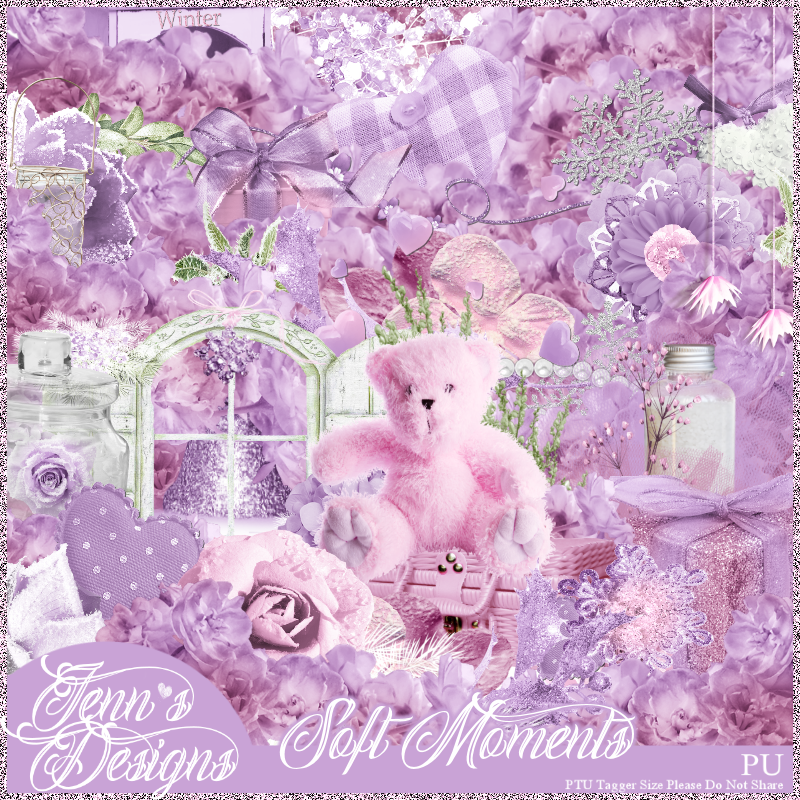 Soft Moments Scrap Kit contains 75 Elements/10 Papers. You can get your copy of Soft Moments HERE. I used a gorgeous tube by Keith Garvey with Soft Moments Scrap Kit for my sample previews.